Remember the negative experience I had with my first acupuncture treatment? I was reluctant to give it another try but recently bought a Living Social deal for a local place and thought it was only fair to try again. 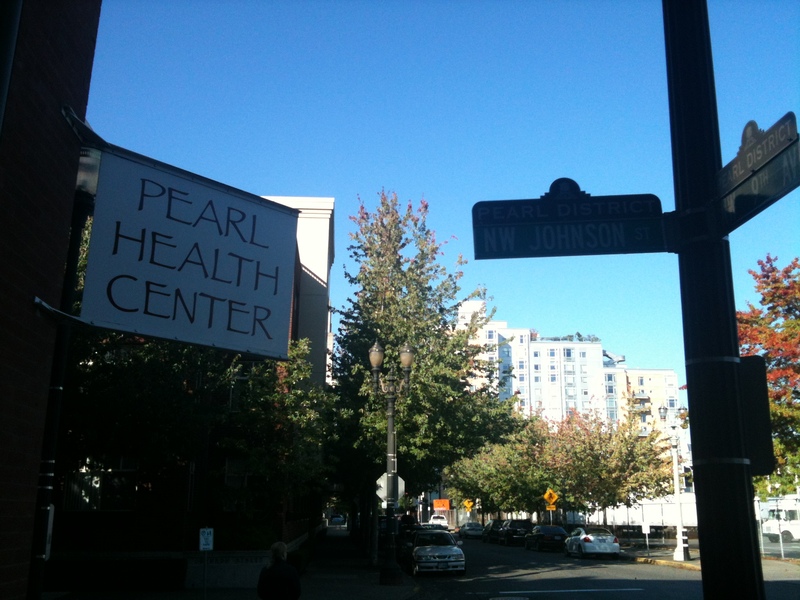 I went to the Pearl Health Center in the Pearl District downtown. My acupuncturist was named Michelle and I liked her quite a bit. She was calming, understanding and friendly. She was also a runner so that was good to hear. We went over some of the things I wanted treated–my insomnia, anxiety and stress, plus the physical issues I’ve had with my IT Band and my sacrum (which I reinjured recently). Unlike my first experience where it was a group setting, this was a private room. I was much more comfortable. She had me undress and wear a hospital gown and lay face down. There was dim light, relaxing music and she put a heat lamp near me to keep me warm. She put in the needles in and it was a comfortable, easy experience. There were only two spots that I FELT when she put the needles in and one was in my IT Band. Ouch. She also put the Tens device on my sacrum (my lower back). It’s a nerve stimulation supposed to work out the kinks and it felt fantastic. It was like tiny electric shocks alternative with vibrations and tiny taps on my back. It felt so great. She left the room for about 40 minutes and I fell dead asleep. I don’t even remember falling asleep. She finished up the 90 minute session with stretching my lower back. She showed me a few new stretches that felt awesome and painful at the same time. She also suggested that I try the Nike Myrtl Routine (a 12 step pelvic girdle stretch) stretches 3 times a week. I’m definitely going to check it out and incorporate what I can into my normal stretches. I will definitely take her advice because she’s a runner, and she said her sister is training for her fourth Ironman. I felt like she knew what she was talking about. I got home, feeling groggy–like that post-massage fog–and made leftovers for dinner. Michael made guacamole to go with our dinner. Over the weekend I had made some easy enchiladas with leftover ground turkey meat. I had two enchiladas left so I reheated that for our dinner. I’m glad we had leftovers because I felt so uninspired to fix something! 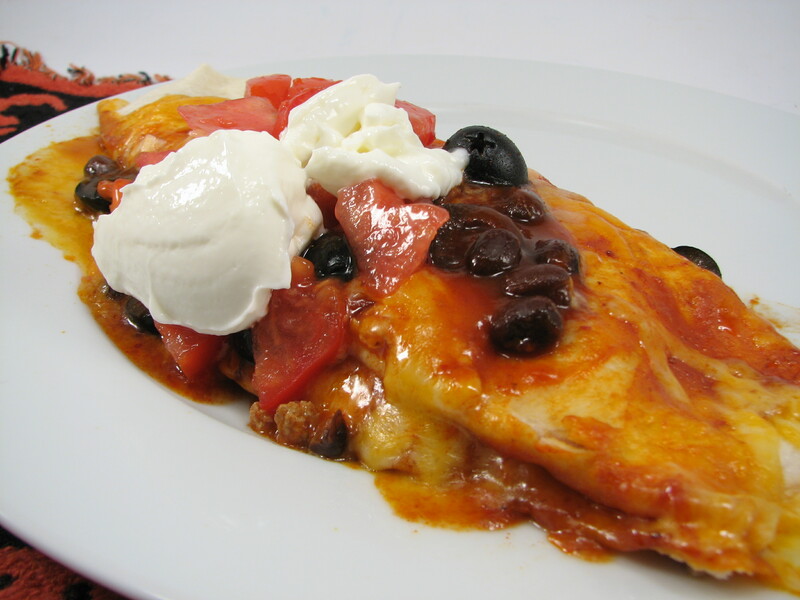 Inside the enchilada: ground turkey meat, black olives, black beans, cheese, onions. Yum! 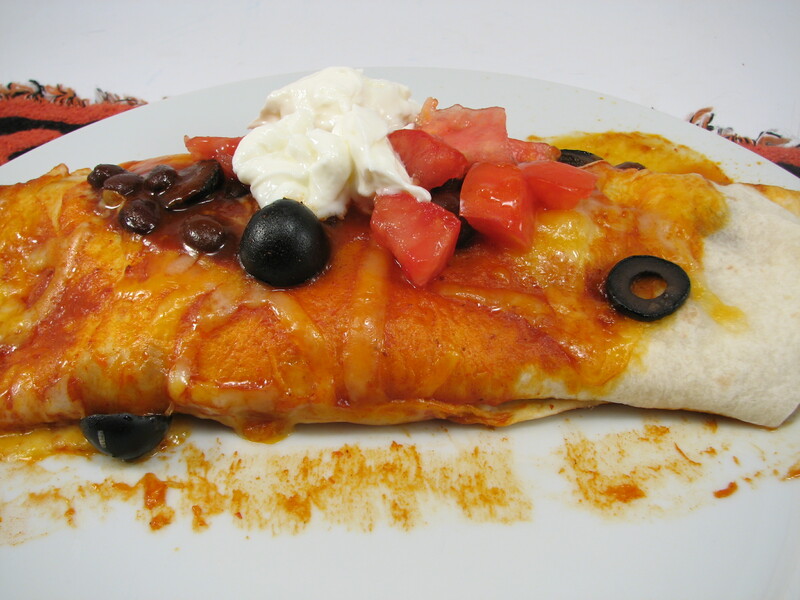 I love enchiladas and using leftovers is even better. I added a few chopped tomatoes leftover from the garden to the top. 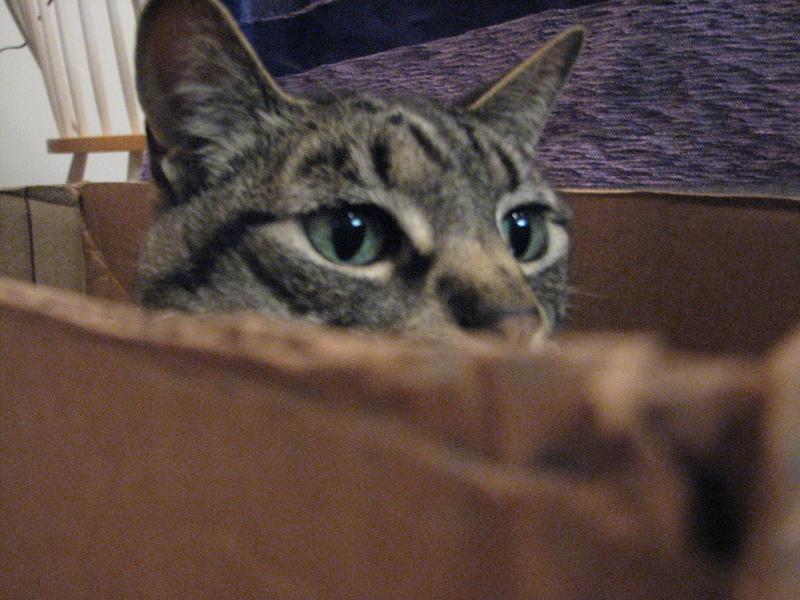 After dinner we watched the latest episode of The Walking Dead and I played with Fat Kitty! He was on fire and full of energy! He made me laugh and I needed a good chuckle. He is so cute I can’t take it. 🙂 Oh and I made him dance to “Pumped Up Kicks.” It was hilarious. Fat Kitty kinda looked like one of the zombies from the Thriller video. Michael teased me because apparently everyone makes their cats dance? I had never done it before. It cracked me up! QUESTION: What is your experience with acupuncture? HI Lisa. Glad this acupuncture experience was better than the first. And big yay for leftovers!!! 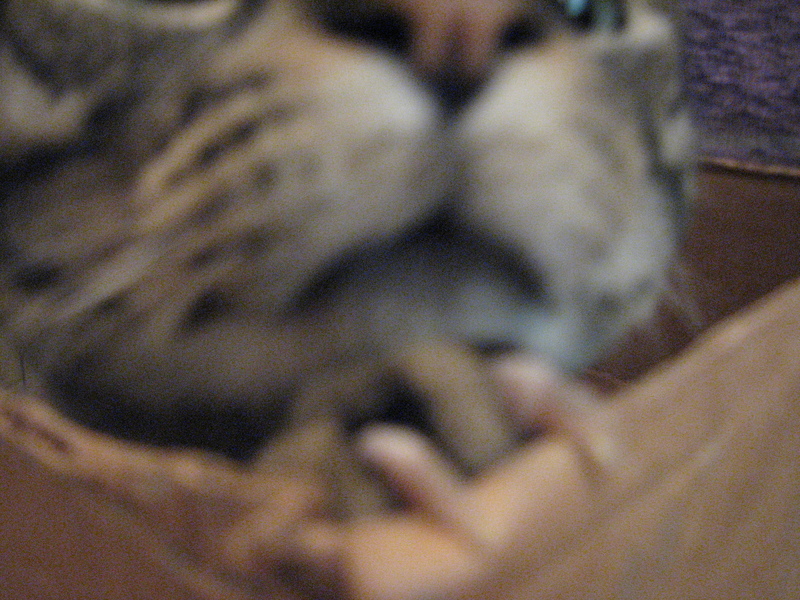 Your cat is simply ADORABLE!!!! LOVE the photos!!!! Take care, hope today is a good day!!! I’ve never tried acupuncture, but I’m certainly not against trying. 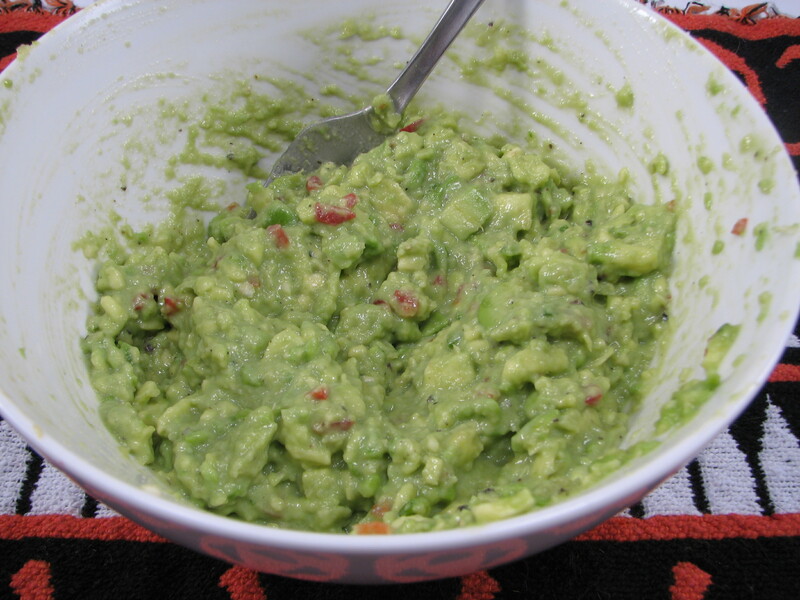 and that guac. I want some. I really had a positive experience this time. I would definitely do it again. 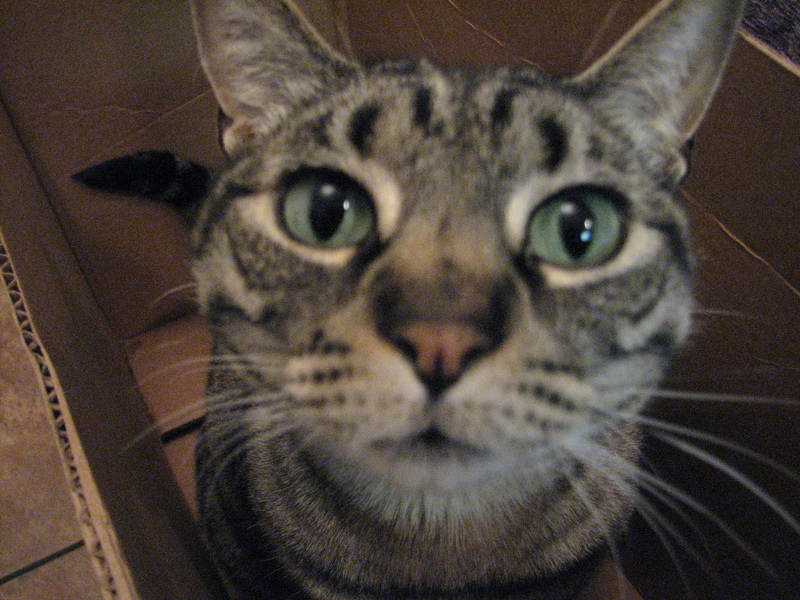 Does Fat Kitty have greenish eyes? How handsome! I have never done acupuncture. I don’t like needles. I know you can’t really feel them, but…still. He has beautiful green eyes! Lisa, what questions would you suggest for someone to ask before, during and aftet a session? And I’ve been meaning to ask, did you like Dallas or Austin better? Hey Christi! Those are great questions. 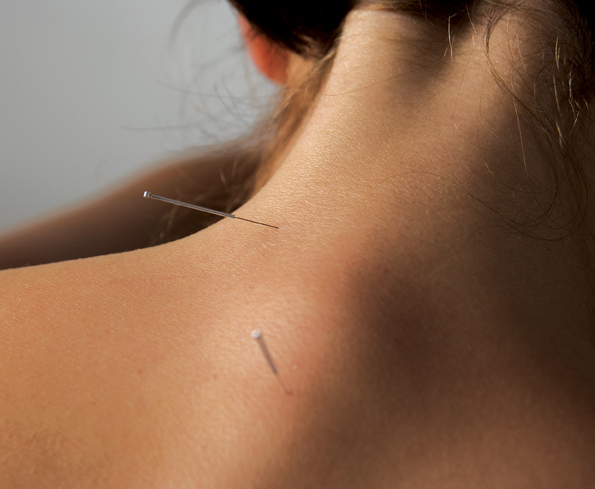 I asked the therapist before how acupuncture works–like the theories behind it. She said that for example if I was having skin issues (acne, dermatitis, psoriasis etc) than she would put the needles in the spleen area because they are connect. Asking questions about how it worked made me feel more informed about my session. After the session I asked her about stretches I could do and what other kinds of treatments I could do to for the issues I went in for. She was very open and showed me lots of stretches I could do. She also recommended a Chinese herb for insomnia. I think the biggest tip is to be very honest and open with the therapist about what your issues are. A lot of things are connected. Like digestive issues can be related to skin issues, etc. I’ve never done the acupuncture before!! I would be nervous but would love the relief. I was nervous the first time too but it wasn’t bad. It doesn’t hurt. So glad you had a good experience this time. I have never tried it before, but am very interested. I have headaches, insomnia and plantar faciitus that I would be interested in seeing if acupuncture would work for my issues. I would be interested in hearing more from you on the lasting effects. Are you planning on going again? I think you should try it. If you’re on the fence, get the Living Social/Groupons for acupuncture in your area. That’s what I did and I plan to do it again. It’s the only way I can really afford it. Acupuncture isn’t covered by my insurance. I will definitely do it again. I have seen a difference since Monday. My sacrum issues are resolved. I’ve been able to sleep two nights in a row now with no sleep aids. I don’t know how long it will last. That’s so awesome Lisa! I’m so glad it went better this time. I have always be interested in acupunture but have never tried it. I’ve never made my cat dance before.. she would probably bite my face off it I tried that. oh my! Those enchiladas look amazing! I’m sorry about your kitty. 🙁 I can’t imagine my kitties not being in my life. I love acupuncture. I go once a month now. Wish I could afford to go more regularly though! My first experience was terrible (I passed out from needle shock) but this new guy is fantastic. He tells me what each needle is for and where it is working and what it is doing – I love learning about it! I usually end up falling asleep on the table! I didn’t have a bad experience with the needles the first time, per se, just the process and environment. This was much better. This therapist also had me take a deep breath with each needle prick. It was very relaxing! I had the same experience this time. I left with a feeling of euphoria. I definitely felt much better and happier in general. It was pretty amazing.